Could Too Much Green Tea Actually Be Toxic? Green tea...bad? Well, maybe. Kind of. Not really. This new study comes from a group of researchers within UC Irvine’s pharmaceutical school led by Mahtab Jafari that’s examined various other supposedly healthy additives, including cinnamon. The team has been working with green tea for awhile, using fruit flies as their primary lab animals; back in December 2014 they published a study on the effects of green tea extract on fruit fly lifespans. The new study looks specifically at reproduction and development, exposing fruit flies to 10 milligrams of green tea and measuring abnormalities. This is a massive amount of tea to expose to an animal of that size; most green tea extracts for humans, for example, range from 400 to 750 milligrams. Fruit flies are several thousand times smaller than humans in mass; to consume the equivalent amount of green tea would be pretty unlikely. But! The results are still pretty interesting. Fruit fly larvae exposed to this tea “were slower to develop, were born smaller and exhibited a dramatic decline in the number of emerged offspring,” according to the release. They were more likely to starve but strangely less likely to suffer dehydration. And certain reproductive organs – namely the testes and ovaries – showed developmental abnormalities. Previous studies have also indicated that it’s possible to, essentially, overdose on green tea; organ failure was noted in mice in a study from 2010, for example. What might be more damning is a survey from 2011 that examined several different claims as to green tea’s health benefits and found little evidence for any of them. 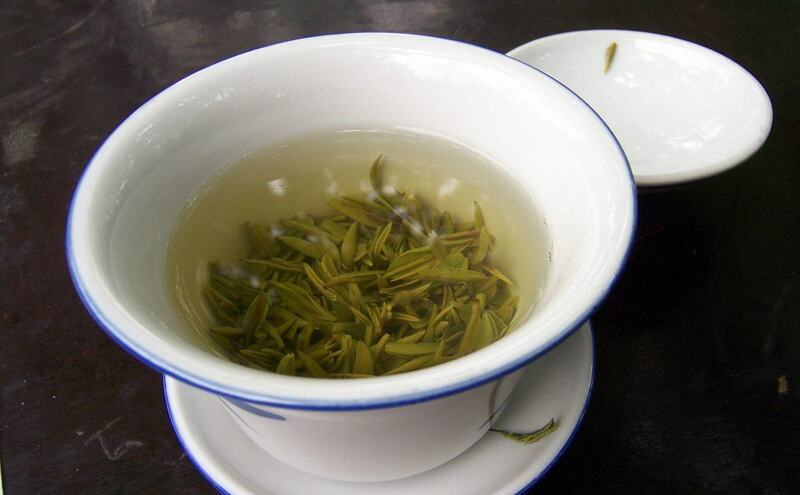 This particular study shouldn’t necessarily change your consumption of green tea; even the researchers would only go so far as to say, “Further work is needed to make any definite recommendations, but we can suggest that green tea be consumed in moderation.” Moderation, in this case, refers to not mainlining tens of thousands of milligrams of concentrated green tea extract. (Or drinking green tea and only green tea in an effort to lose weight, like this teenage girl attempted a few months ago.) What it should indicate is that we really don’t know very much about how the body interacts with many substances, even ancient ones that have long been claimed as health tonics.